Here in the northern hemisphere, summer has officially begun. School’s out and the summer energy is here. There is some pretty powerful, wild energy this time of year. 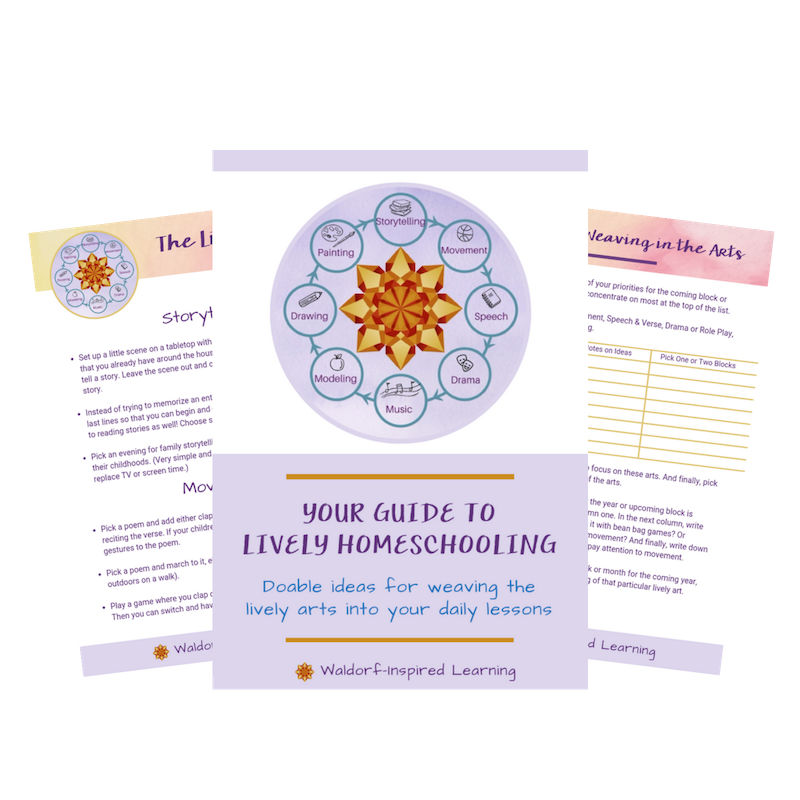 I personally think it’s important to take a break from homeschooling during the summer. I find that the full-bloom energy of the season makes it really difficult to focus on lessons anyway! When I was a little girl, summers meant lemonade stands, picnics, and catching fireflies in a jar. One summer, all the Dad’s in the neighborhood helped the kids build a fort in our backyard that then would travel to different backyards each year. That fort had wooden walls with cut-outs for windows and we even painted it inside and out. A lot of hours went into the making of that neighborhood hide-out. As a parent, the first few weeks of summer always feel a bit wild and crazy to me! Perhaps for you, too. So what do we do? We all want something that feels a little different than the rest of the year. But vast, wide open days can lead to whining and irritability, and even a sense of endless dread. The answer? A simple summer rhythm. What exactly is rhythm anyway? At its most basic, rhythm is a repeated pattern. 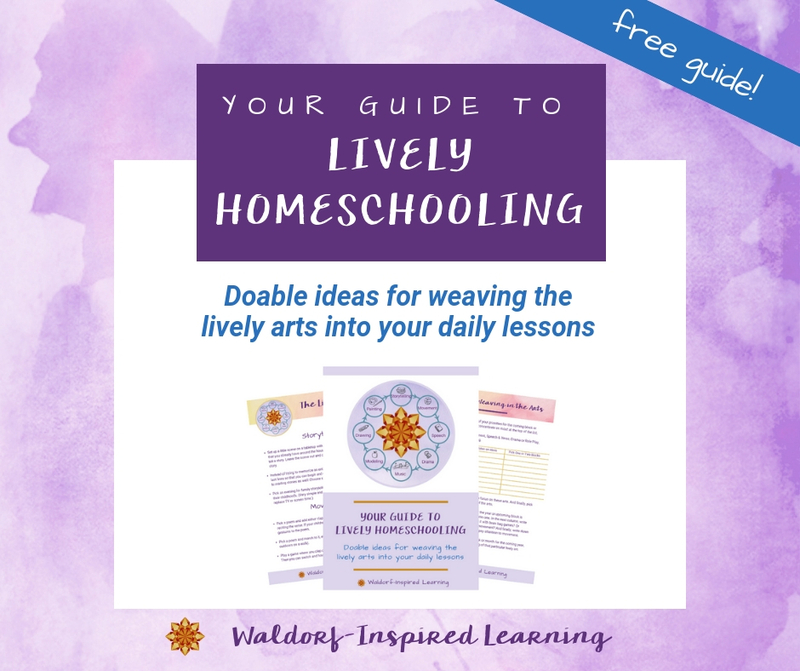 Waldorf education builds around this concept of repeating certain activities on certain days to help us feel grounded, to reduce decision fatigue, and to help our children (and ourselves, I might add!) feel at ease by knowing what to expect. I think sometimes when people hear the phrase “create a rhythm,” they think of a rigid time schedule. And then resistance comes up. I get that! I do not do well at following a specific schedule. In fact, certain homeschooling methods and curriculum don’t work for me because of that! I think it sounds nice at first, very orderly, and the teacher in me is drawn to an organized plan. But I get maybe a week and a half in and I’m done! I just want to bust loose. I can’t sustain a rigid schedule over time. So rather than add rigid restraints, rhythm actually frees us up and allows our days to flow more smoothly. A friend of mine just last week shared with me about how she was feeling so scattered and unsure of how her summer with her kids was going to unfold. She just wanted to stop feeling like she was going crazy! I suggested coming up with a simple summer rhythm, one that fits her family’s particular situation. Here’s what we came up with (all in about 12 minutes while on a walk!). We decided that one general activity for mornings and one for afternoons would work great for the summer for her. (She has four kids ranging from 16 down to 7). And now she’s created a chart for the wall so that everyone can see their summer rhythm and knows what to expect. Here it is. 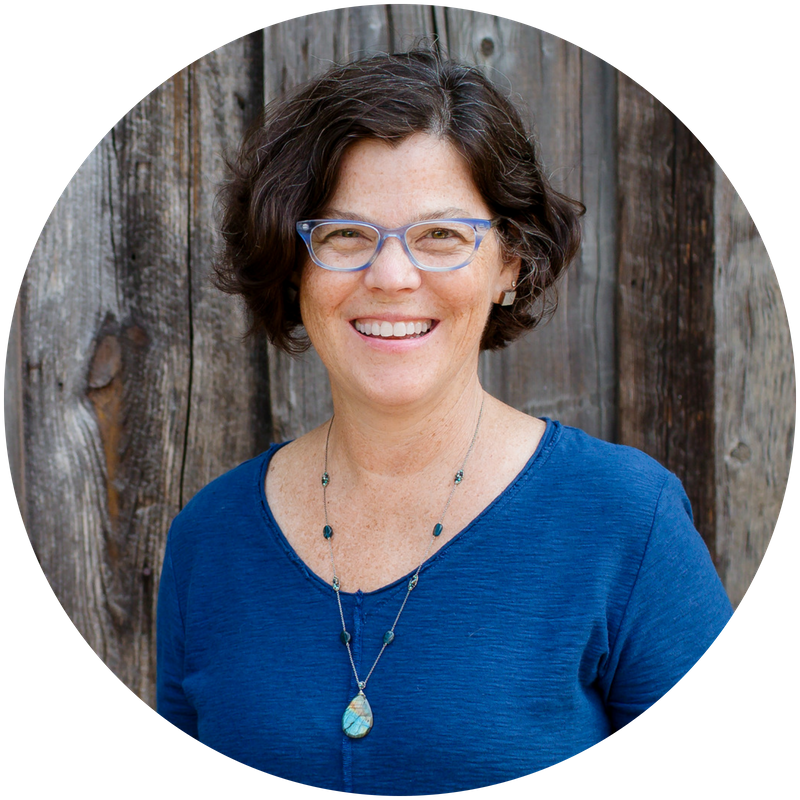 I’ve even created a summer rhythm for myself for writing and getting ready for the Taproot Teacher Training, two of my main summer activities. It helps me to focus on one thing at a time and keeps me from multitasking. Because when we try to do it all, we don’t get much accomplished! 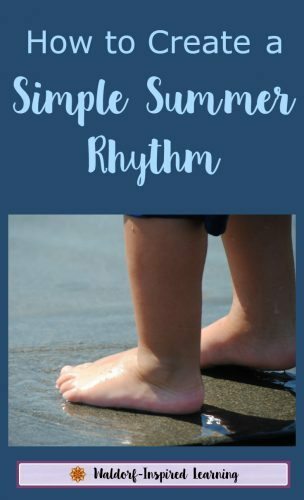 Here are some other fun ways you can apply rhythm during the summer. Mealtimes: Create a simple schedule of types of meals that happen each day of the week so that you can have ingredients on hand, and can avoid that late afternoon “what’s for dinner” panic and scramble. I use an amazing online tool for keeping all of my recipes and doing my meal planning called Plan to Eat. 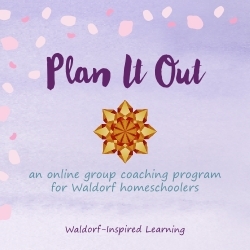 (Full disclosure: I love this planning program so much that I am now an affiliate, so that is an affiliate link.) This tool then creates a shopping list for me from my week’s recipes. You can read more about my weekly meal planning rhythm here: Super Simple Menu Planning. My plan varies a bit in the summer because we grill out one or two nights a week. 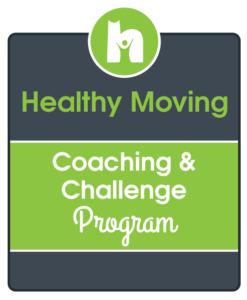 But this will give you an idea so that you can create a simple framework to fit your family. Each day of the week has a different type of food associated with it. Very simple. Summer Uniforms: Pick certain colors for certain days of the week. Rudolf Steiner talked about specific colors that are energetically suited to different days of the week. If you organize your clothing by these colors, then your choices for each day of the week is greatly simplified! Here are the colors: S: white, M: purple, T: red, W: yellow, Th: orange, F: green, S: blue. You can even extend this rhythm all year. Rhythm really is our friend. 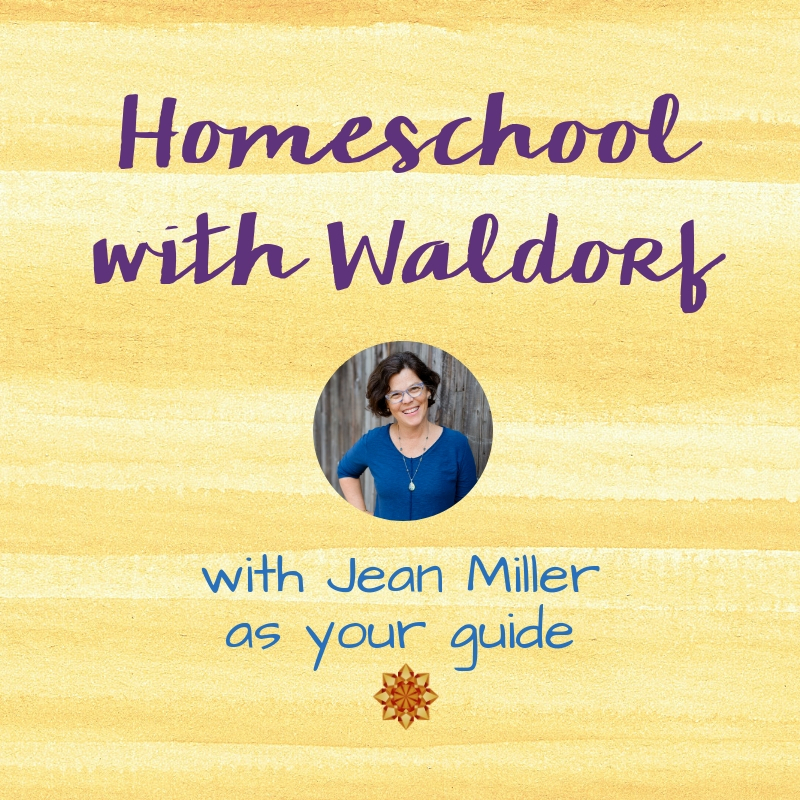 Picture the Waldorf kindergarten teacher who has a different activity each day of the week with her young children. Something like Storytime on Mondays, Painting on Tuesdays, Finger Knitting on Wednesdays, Baking on Thursdays, and a Nature Walk on Fridays. Of course, in Waldorf homeschooling for the elementary years, the weekly rhythm applies to our main lesson blocks, too. 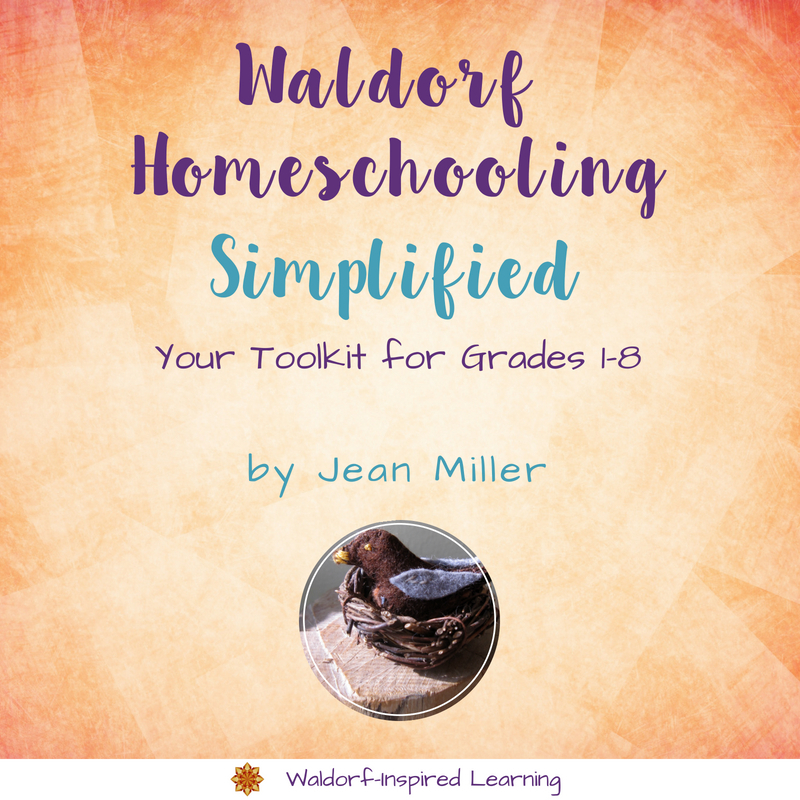 You can read more about the three-part lesson in a two-day rhythm that is at the foundation of planning main lessons using the Waldorf approach at this post: Rhythm is (Always) the Answer. We can extend rhythm into our family life with older children, too. And even into our adult life! Rhythm is a simple concept. Don’t over-complicate it! 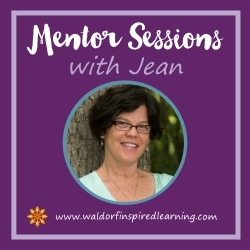 If you want help exploring the concept of rhythm and how it can help you and your family, then click here to learn more about booking a Mentor Session with me. I used to do this when my kids were younger and stopped. Huge mistake. Thanks for sharing your friend’s schedule. So simple, yet just perfect in terms of summer structure for herself and her children. I’m inspired! Yes, Penny, I’ve forgotten this concept some years, too! And regretted it. It’s so simple. Sometimes, just one activity a day is appropriate. Other times, I like this two-a-day model with one for the morning and one for the afternoon. So great to have a foundation like this to help ground us. I’ve been trying to come up with a summer rhythm that works for my 5.5 year old and 2 year old twins. I’m still working on it and would love suggestions if anyone has some for these age groups. I’ve been struggling a bit because I’d like to find something that easily blends itself into the fall school year. Thanks for the post though. It’s good to know others are thinking of this too! It can be tricky, Stacey! But the truth is that there is no perfect rhythm. And once we finally land on one, our children keep growing and it needs to change! The most important thing to remember is that for the rhythm to stick, it has to work for YOU! With the ages of your children, I would suggest that you choose just one activity a day. You could choose among reading stories, going on a nature hike, baking (if it’s not too hot where you are), having a playdate, going to the pool or playing in the sprinkler…there are so many possibilities. But just choose the ones you enjoy most and that are simple enough to do with three children. For example, I would guess that watercolor painting is not going to work right now with 2-year-old twins! And that’s OK. Choose simple, and doable, so that you can have success with this. Because if you don’t repeat the activities, it’s not a rhythm!!! The best thing you can do for the summer is to establish a rhythm, and then in the fall, the activities can change but you will have created the habit of one activity per day. That way, your transition will be smooth. Good luck and enjoy. Thanks for the mail about rhythm .have 3 kids and iwould try my owns . Good luck! Creating a rhythm can definitely be trickier with 3 kids, but remember that you want it to work for everyone including you!